By Dr Andrew Futter, Senior Lecturer in International Politics, Department of Politics and International Relations. Dr Andrew Futter discusses on The Conversation, if Scotland had voted Yes, we might have been forced to rethink our relationship with nuclear weapons. No such luck. The UK is presently in the process of replacing the Trident system. 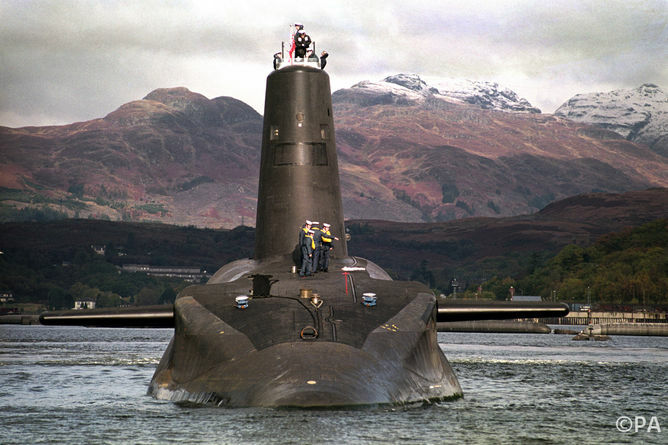 While last year’s Trident Alternatives Review, conducted at the behest of the Liberal Democrats, pointed to other reduced nuclear options, a replacement will almost certainly involve like-for-like replacement of the current four-boat submarine force.As a result, should the successor to Trident programme be given the “green light” after next years’ general election (which seems probable), the first of a new generation of nuclear-armed submarines will be deployed by around 2030 – and Britain will retain a highly sophisticated nuclear weapons capability with global reach well into the second half of the 21st century. This entry was written by University of Leicester, posted on 24/09/2014 at 09:33, filed under Uncategorized. Bookmark the permalink. Follow any comments here with the RSS feed for this post. Post a comment or leave a trackback: Trackback URL.